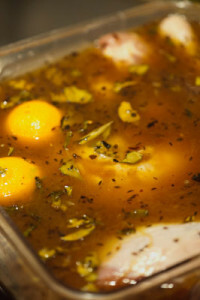 The brining technique is different than simply marinating or salt curing a meat/poultry product. 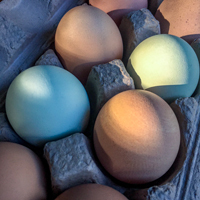 By submerging a protein (turkey | chicken | Cornish game hens) into this liquid medium, it allows the properties of osmosis to do its work, resulting in flavoring the protein from the inside out. Crafting a liquid with the right balance of sodium, sugar and flavors (in this case Craft Beer with some herbs and vegetables) becomes the basic medium. 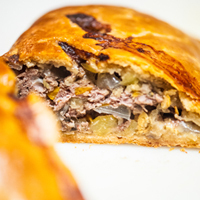 The natural moisture in the protein is replaced with flavors of the brine that also hydrate the meat, increases the tenderness by denaturing the proteins, helps preserve the ingredient and provides a temperature cushion, preventing the main course from drying out. There are several ways to cook this beer brined turkey. This method uses a wood fired grill to cook the turkey, creating a subtle smoke flavor, instead of heavier smoke from a true smoker. Below the recipe, there are links to all the ways this base recipe can be cooked. This recipe yields enough brine for a 16 – 24 pound turkey. Listen to my Home Brewed Chef podcast Thanksgiving Dinner Show for more menu ideas, techniques and recipes. Some smoker brands that I stand behind are Green Egg and Weber. 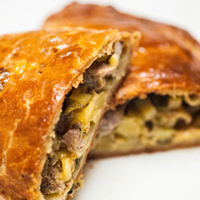 This recipe is a must make at least once in your life. It will result in a juicy, moist and wonderful flavored turkey that will make your guests want to take all the leftovers home. At least 2 days in advance of Thanksgiving | event | Holiday, start the brine. In a large pot, over high heat, add the water, salt, sugar, peppercorns, bay leaves, thyme, onions, celery, carrots, garlic, lemon and orange. Bring the liquid to a boil and simmer for 10 minutes to infuse the flavors together, dissolving the salt and sugar. Turn off the heat and let the brine cool for 20 minutes, then add in the ice and beer of choice. Mix the ingredients together and take the temperature of the finished brine. A thermometer should read 40°F | 4°C or lower in order to be safe to use. If it is warmer, place the pot into a refrigerator/kegerator until 40°F | 4°C is reached. If cold space is an issue, use a large cooler and sanitize it with a bleach water solution (1 tablespoon of bleach per gallon of water or 200ppm) or Star San (1 ounce of StarSan per 2 gallons of water). 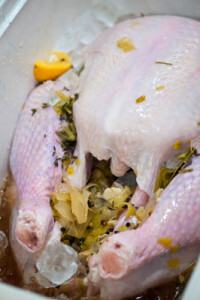 Place the cooled beer brine into the now clean cooler and add the turkey. Use several gallon size seal-able bags fill with ice, to keep the bird and brine ice cold, but not diluting the salinity or flavor of the brine. This will also work if you are beer brining multiple turkeys at once and have doubled (32 servings) or tripled (48 servings) the beer brine recipe to fill the cooler size you are using. If you are using a Ziploc XL HD Big Bag hold the bringing liquid and bird, place the sealed bagged turkey in the cooler and surround the bag with ice, to keep the turkey and brine ice cold. With the beer brine, the turkey is fine to cook, once it is dried. To add extra flavor and decoration for when the turkey is served, you can dress up the turkey with some flavor bling. Using your finger tips, start at the neck and slide one finger inside the neck skin and start separating the skin from the meat. 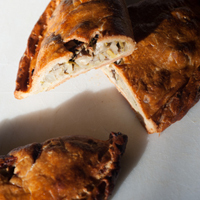 Gradually add a second finger to finally your whole hand (that is pressed flat against the breast meat), being very careful not to force, but separate the skin from the meat, as the skin can tear. Repeat this same process with the other breast. Once this is done, move to the open cavity and on one side of the turkey start separating the skin from the leg/thigh, working around the thigh to the leg. Repeat this process for the other leg. 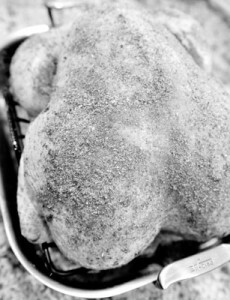 Now that the skin is loose, the turkey can be stuffed with herbs, rubs or bacon to add additional flavor to the turkey. And when the turkey cooks, the skin will display the garnish, creating a beautiful finished bird. Herbs: Try using a mix of fresh herbs like thyme, bay leaves, rosemary, marjoram and/or oregano. Arrange the herbs in a pattern under the skin on each breast. Copy the pattern to the opposite breast to give the finish turkey symmetry when being presented. Use herbs to wrap around the legs and thighs too, creating a unique pattern with what herbs you have. A good tip is to start at the farthest part from you and work towards where you are stuffing from. Bacon: cured, smoked and sliced pork belly is another great option, as the fat of the bacon renders as the turkey cooks, adding another layer of protection from the breast meat drying out. I like to use a thick cut bacon, that has been smoked. Arrange the strips of bacon alongside of the chest bone and but each strip right next to the last, working your way down the breast. Cut the bacon if it is too long with kitchen sears to fit. Then repeat on the opposite side of the turkey. For the leg/thighs, wrap the bacon around the legs, then continue with the thighs, creating a pin wheel effect. Press the skin down to remove any air pockets and help secure the bacon from sliding. Rubs: Since the turkey has been brined, seasoning the bird from the inside out, additional flavors should be just that, herbs and spices, not salts. If you have a favorite rub, check to see how much salt is used. Many commercial rubs use a lot of salt as a filler, as it is cheaper than the herbs and spices. Sprinkle the rub mix under the skin, creating an even coating on each side. Mixing the rub with some olive oil or room temperature unsalted butter to create a flavor paste can also be done, again giving the breast meat additional fat to help keep the meat moist and juicy as it cooks. Remember that the turkey has been seasoned with the brine. Once the skin has been dried thoroughly, you can brush/rub oil (such as olive oil or vegetable oil) all over the skin to help create a wonderful crisp skin, or use room temperature unsalted butter to create a light coat of fat. Very lightly season the skin with salt and pepper if you wish. A rub can also be used to create multiple flavors. 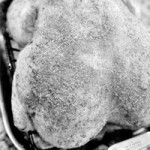 A Cajun spice rub, fresh herb rub or jerk spice can be used to give the turkey a culinary field trip. Be careful of the salt content of the rub, if you are using a commercial made rub, as salt is cheaper than herbs and spices. Have your clean wood fired BBQ/grill ready to go. I like to use lump charcoal as it stays hotter longer. Start your coals, I like to use a chimney with newspaper, so no lighter fluid flavors have a chance to damage the turkey. Once the coals are hot add them to the grill, move the hot coals to one side of the grill, so that there is an area large enough to place the turkey without direct heat. After the first coals are going, start a second batch of charcoal about 30 - 45 minutes later. This smaller batch of coals will be ready to use, to feed the fire and keep the turkey at a constant temperature as possible. Place the prepared beer brine turkey in a disposable roasting pan, onto the grate, with no heat under it, insert a temperature probe into the center of the breast or into a thigh, making sure that the tip of the probe does not touch bone, and cover with the lid. Check the temperature of the grill to be as close to 350° | 177°C as possible. Cook the turkey, checking the coals every 45 minutes adding more hot coals if needed, making sure that the sides don’t burn or the top gets to brown to fast. Rotate or adjust the position of the turkey if these issues arise. 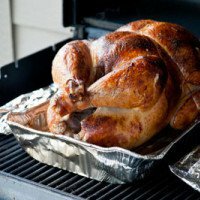 Or create aluminum foil protective sheets (folded over aluminum foil, then edges folded over), that can be placed next onto the grill grates, next to the roasting pan, defusing the heat near the turkey. Remove the turkey from the grill when the internal temperature of the turkey reads 160°F | 71°C and tent with aluminum foil. 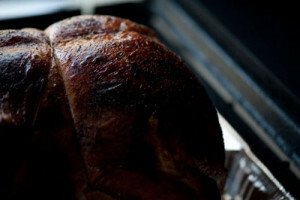 The turkey will continue to cook to a poultry safe temperature of 165°F | 75°C because of carryover heat. Let the bird rest for 30 minutes before following the carving instructions. With turkey meat much like it's fowl cousin chicken, there isn't a ton of unique flavor; it's very subtle. I have found that using beers that use a good percentage of melanodin malts add a rich flavor to the turkey, enhancing the maillard reaction that occurs during the cooking process. 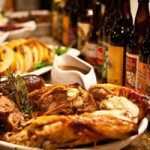 Beer styles like German Bocks, Doppelbocks, American Brown Ales,English Brown Ales, Dunkelweizen, Vienna Lagers, Roggenbier, Scotch Ale/Wee Heavy, Irish Red Ale and Märzens/Oktoberfest all compliment the flavors of turkey with this beer brine recipe. Below are some other beer style and brewery versions of this recipe, each adapting the beer brine to fully utilize the beers nuances in flavoring the turkey.